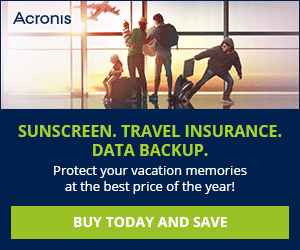 The advancements in technology have made following your favorite sports easier than ever before. Anyone can now grab their smart phone and download applications if they have a mobile broadband connection. Android smart phone owners are especially lucky because of the vast amount of free sports apps that are available in the Android market. While there are a lot of apps to choose from, these are the 5 best free sports apps on the Android market. 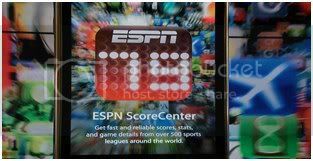 ESPN Scorecenter allows you to access scores, news and standings of all of the major sports leagues from your smart phone. The application can be personalize the home screen with your favorite teams to make finding the information you want even easier. All of the breaking news for every sport is also available as soon as it is reported by ESPN. Fantasy Football is becoming one of the most popular games in the world. The Draft Punk application allows for you to get more prepared for your fantasy football draft than ever before. The application allows for you to enter the settings of your league, then the app will automatically rank all of the players based on the scoring settings of your league. 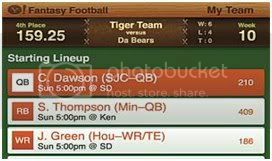 There are not many places that give customize fantasy football rankings, and this is the only version that is available in a free app. Mixed martial arts is becoming one of the fastest growing sports in the world, and MMA Junkie allows you to stay up to date with the sport. Results from all of the fights from the biggest MMA promotions in the world are available. The application is constantly updating to give its users up to date news. Anytime a fight is announced, you will be able to instantly know with the MMA Junkie application. Interviews with some of the biggest MMA fighters in the world are also available with the app. Bleacher Report Team Stream allows for any sports fan to have instant access to all of the information concerning their favorite teams. If new information comes available, the app is instantly updated in real-time. Once you download the app, you will enter all of your favorite teams from every sport. The Bleacher Report Team Stream will then give you up to the minute news on all of the teams entered. The app pulls stories and articles from some of the biggest sports websites and puts all of that information into one application. There is no longer a need to search multiple websites to read news on your favorite team because all of that information can now be sent to your phone using the Bleacher Report Team Stream application.